An American classic, Ben-Hur is both a vivid historical epic and the powerful story of one man's spiritual journey from slavery to vengeance to redemption. Born the son of a Jewish nobleman, Ben-Hur is condemned to the galleys for life for accidentally dislodging a piece of tile that falls on the Roman procurator. He is betrayed by his best friend, manages to escape his imprisonment, and gains revenge and glory before the cheering multitudes in the chariot races at the Roman circus in Antioch. Later, he fulfills his true destiny at the foot of a cross on a hill in Jerusalem. This book is a masterpiece, a vivid blend of description and larger-than-life characters. The book's full title "Ben-Hur: A Tale of the Christ" should clue you into the fact that this story parallels the life of Jesus. Ben-Hur is a handsome, intelligent, wealthy Jewish boy who is almost destroyed by the hatred of a former friend and Roman, Messala. Ben-Hur eventually escapes his life-sentence to the galleys and regains his fortune, which he uses to reap vengeance on his betrayer. However, when he learns that 'The King of the Jews' is at hand, he turns all his attention to building armies and preparing for the overthrow of Rome. When the Christ turns out not to be quite what he had expected, Ben-Hur is left with a difficult choice: wage war on Rome or follow the Prince of Peace. I give the reader 8/10. Sound quality 10/10. Story 10/10. 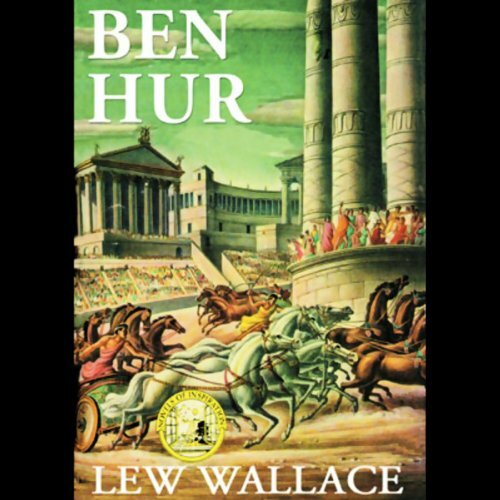 "Ben-Hur" by Lew Wallace is a great book. 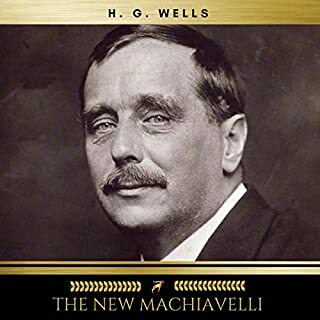 Essentially a fictional account of events leading up to the birth of Christ, Wallace attempts to put give the reader (listener) a feel for the environment of Palestine / Rome at that time. The extensive use of descriptive text, metaphors, and adjectives, makes the story come vividly alive. Once you have listened to this book, the movie seems shallow in comparison. If you liked Ben-Hur the movie with Charlton Hesston, you will love this book. A "masterpiece". This is the worst quality recording I have purchased from Audible. The narrator has a good voice, but the editing was terrible. There were awkward gaps throughout the recording, sometimes in mid-sentence, and it almost seemed like parts were re-recorded with someone else's voice. On top of that, there are many skips in the recording (as if listening to a CD) that become more numerous as the story goes on. This wouldn't warrant any stars but for the greatness of the story itself. I can't believe Audible would even carry this recording. This timeless tale brought to life beautifully. Not a dull moment. I loved it. 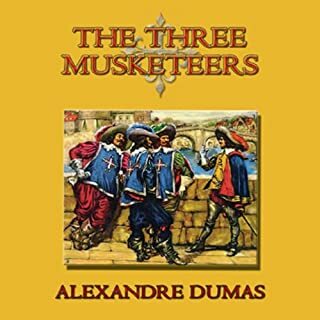 A great story when first written and still a great story to listen to. 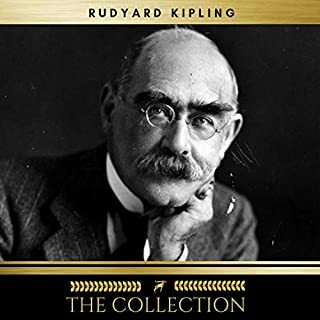 Audible offers two unabridged versions; listen to both samples and dertimine which you would rather listen to. One with a Bostonian accent and one without. I first read this story as a teenager, and now in my sixties, it still remains one of my all time favorites. If you're not in for over 20 hours of listing, get the unabridged version. 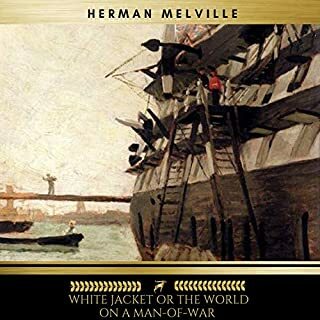 It's an action adventure at 2 1/2 hours and I have found it to be a favorite of mine to fall asleep at night listing to (spurs some interesting dreams). Book starts out slow and dull (however, I realize laying a background). 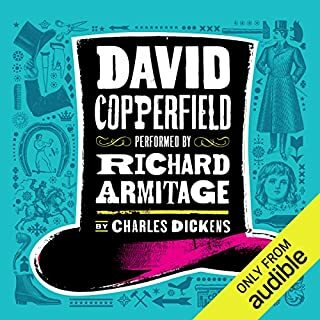 Narrator is one of the worst I've heard on audible. Could go to sleep by him. This is a long, quite slow moving biblical epic. I got this because I loved the movie, and this was much greater in breadth than the movie. The movie is about the enslavement of an innocent Jew in the time of Christ, and his journey to escape slavery and seek revenge against the Roman who is responsible for his punishment. Almost all the additional material was biblical in nature, with many discussions and thoughts about the meaning of god and the coming of the messiah. The novel starts with the meeting of the three kings and the birth of Christ. It is not even until the second hour of listening that Ben Hur is even introduced. While I am not a believing Christian, I do enjoy biblical stories coming to life, and this novel did a great job of doing that. There were great parts of this novel, both about Ben Hur's tale of vengance and the birth and death of Jesus. My complaint is that there were many slow moving parts in between the engaging ones. If you are a lover of the bible and a patient reader, and especially if you are a believing Christian, you might love this book. It does transport the reader effectively to a different time. I did get the feel of what is was like to be a Jew or Arab in the Roman empire. I gave this three stars because I enjoyed half the novel and was antsy with the slowness the other half. I was held spell bound by the narration and the story.I have actually listened twice and enjoyed it even more the second time. The slight technical glitches did not affect my enjoyment of the story. Much better than the movie! 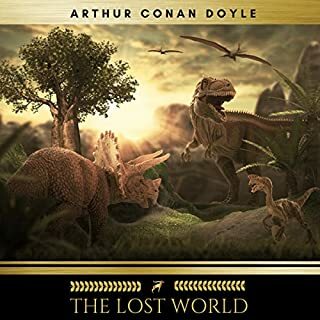 I don't know what others were thinking when saying how wonderful this audiobook is. BEN HUR IS AN AWESOME BOOK! Don't get me wrong there, but James' narration is one of the worst I have ever sat through. I almost wrecked the car as it lulled me toward sleep. The 'characters' are non-distinct and boring, the narration is DEATHLY boring, without change of cadence or intonation ... It's just lousy. James has a nice quality of voice so I won't dismiss him as a non talent --- but this book was not for him. NUMEROUS mispronunciations and clips in the editing (did he record this at home?). Anyway, I would suggest that some publisher take this terrific book and re-record it in a manner worthy of it. It's so ploddingly boring and overly slow and reverent that it makes even the Good News of the New Testament seem trivial and sleepy. Maybe it's just me but this audiobook is like a concious 15 hour sleepwalking (or sleepdriving) pill. Lloyd James performance is quiet, somber demeanor. His tone does not very much even in climatic parts, but keeps a very reverent feeling to the sub-story of Jesus Christ. His softness of tone doesn't take away from the story. It is well worth listening too. The story is quite interesting, never seeing the movie with Charlton Heston I was surprised to know that it is a story of a young man that was living at the same time as Jesus Christ and his part in the revolution of the Jews at the time of Roman rule. Lew Wallace was such a creative genius. He took such great time to be detailed about the background of story. I believe that it is really worth the time to listen to this masterpiece. Would you recommend Ben-Hur to your friends? Why or why not? This recording was very frustrating as every edit chops off part of a word and pulls you out of the story. The reader also mispronounces quite a few words. Sestercii is wrongly pronounced Sess-ter-see-eye instead of Sess-ter-see! I want my money back! A recording this shoddy should be highly discounted!